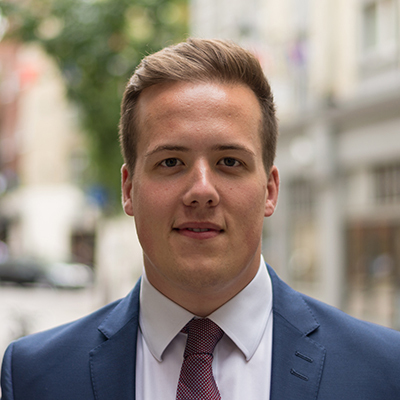 Charlie is an established member of Iceni’s Urban Planning Team, with experience and understanding of industrial, commercial and residential led schemes; this practice has led him to have a keen eye for identifying site potential through site appraisals. Charlie’s interest also extends into place-making and the implementation of art in public places, in addition to engaging with discussions around the implementation and utilisation of Prop-tech/Smart Cities. Charlie became a Chartered Member of the RTPI in December 2017, receiving Commendation from the RTPI for his L-APC submission. Upon graduated from the University of Sheffield in 2015 with an RTPI accredited Masters degree in Urban Studies and Planning, which included a completed semester studying at Aalborg Universitet, Denmark, Charlie moved to London from rural Northamptonshire to pursue his career in planning, and previously worked at BDP (Building Design Partnership), a multinational interdisciplinary architectural firm. In his spare time Charlie makes the most of living in London, experiencing many of the city’s attractions and socialising with friends. Charlie enjoys taking part in all types of sport and is a lifelong Northampton Saints fan, in addition to captaining the fabled Iceni Tag Rugby Team, winning the TTR Property League Plate & the Fair Play/Most Social Team awards in last year’s season.